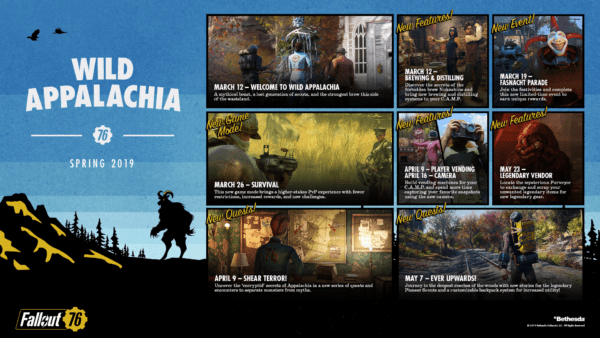 Bethesda has today revealed that a plethora of new free content will be coming to those gamers who have continued to play Fallout 76 despite its many teething troubles. 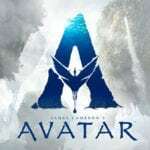 As well as numerous improvements to the game and fixes to many of the top issues that gamers had those clever people at Betheda have still found time to create lots more content and adventures to last through 2019. New Quests – Shear Terror! Players will uncover the ‘encryptid’ secrets of Appalachia in a new series of quests and encounters that will separate monsters from myths. New Quests – Ever Upwards Brave adventurers will travel to the deepest reaches of the woods with new stories for the legendary Pioneer Scouts. Earn merit badges, climb the ranks, and earn a customisable backpack for increased utility. New Features: Legendary Vendor and Scrapping – Locate the mysterious Purveyor to exchange and scrap your unwanted legendary items for new legendary gear. New Features: C.A.M.P. Decorating, Player Vending, Functional Camera – Use items from your stash to decorate your C.A.M.P. Build vending machines and flag items for sale and let it do all the work. New Features: Brewing and Distilling – A new quest to discover the secrets of the forbidden brew Nukashine and new brewing and distilling systems and recipes. New Seasonal Event: Fasnacht Parade – A new limited time event to earn unique rewards in the form of festive Fasnacht Masks. New Game Mode: Survival – An all new game mode that brings a PvP experience with fewer restrictions, increased rewards, and new challenges plus all the original content of Adventure Mode. 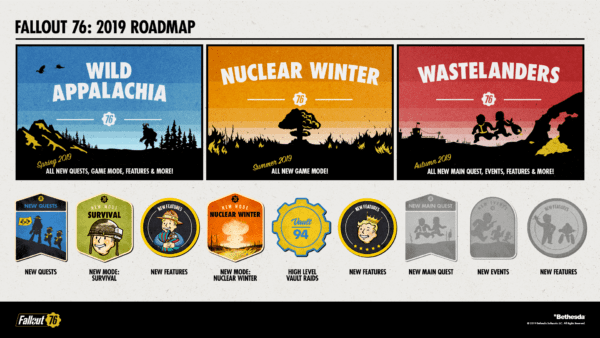 Summer will see the start of the Nuclear Winter update and will bring with it a whole new way to play that changes the rules of the wasteland. This update will see Vaults 96 and 94 open and provide new vault raids for higher level players. There will also be a new prestige system introduced that will players above level 50 to become Legendary. 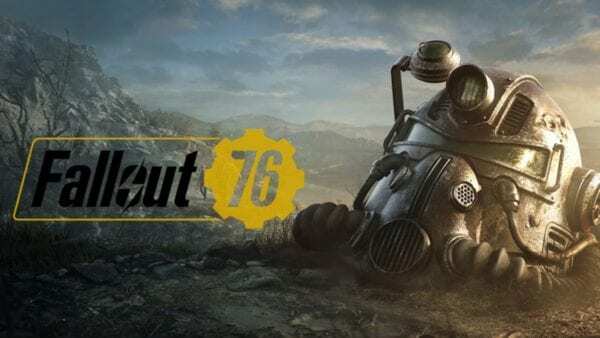 Autumn’s update, Wastelanders, will include a new main questline, new factions, new events, new features and more and promises to be Fallout 76’s biggest and most ambitious update. Look out for Wild Appalachia coming soon to Fallout 76.